SBI Clerk 2019 [Apply Online, Application Form, Vacancies] : SBI Clerk Notification 2019 for the recruitment of Junior Associates (Customer Support & Sales) has been released on official website @ bank.sbi/careers or sbi.co.in/careers. Eligible candidates are invited to submit application form in online mode from 12th April 2019 and the last of registration is 3rd May 2019. The State Bank of India recruit’s candidates for the clerical cadre almost once in a year. The clerk position is referred to as Junior Associate Clerical Cadre by the SBI, online applications are invited by SBI for candidates from different states, SBI recommends that candidates can apply only for a single state. Candidates applying from any state should be proficient in reading, writing and speaking and understanding in the local language of that state. Candidates must submit SBI Clerk application fee before the last date i.e., 3rd May 2019 from 12th April 2019 in order to complete the application form. SBI Clerk recruitment consist of preliminary and the main examination for the recruitment of junior associates. Candidates has to undergo local language knowledge test, otherwise offer of appointment will not be given, but candidates who submit 10/12th mark sheet/ evidence of having studied local language will not be required to attend the local language knowledge test. Candidates interested in applying for this recruitment are recommended to visit the careers section of the SBI website at sbi.co.in/careers or bank.sbi/careers for updates. SBI Clerk Notification 2019 has been released by SBI on 11th April 2019. So, candidates can check the official notification pdf at the careers section of the SBI website at www.sbi.co.in/careers. Candidates must meet eligibility conditions set by SBI for the post of Clerk/ Junior Associates. SBI clerk eligibility criteria such as nationality, educational qualification and other requirements are as follows. To apply for SBI clerk recruitment, the applicants must be Indian nationals. Also, they should have the knowledge to converse, write, read and should have an understanding of the local language from the state of applying. Ex-servicemen Three years plus the actual period of service rendered in defence services. 8 years for disabled Ex-Servicemen from SC/ST category subject to a maximum of 50 years. If qualified, candidates seeking age relaxation should submit the appropriate copies of the essential documents at the time of appointment. After registration of online applications, candidates cannot make any changes to the category. As on the 31.08.2019, the applicants must have completed their graduation in any discipline from a recognised university or they should have equivalent qualification recognised as such by the Central Government. 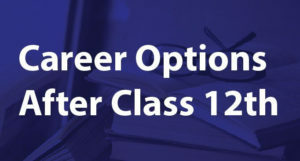 In the case of candidates with integrated double degree qualification, they should make sure that they have completed their IDD before 31.08.2019 to apply for the SBI Clerk Recruitment. Here, candidates are recommended to remember that the date of passing the eligibility examination will be the date specified in the certificate /mark sheet or provisional certificate of the qualifying examination. As the SBI conducts the clerical cadre recruitment for different states across India, candidates are recommended to remember that they should be able to speak, understand, read and write in the local language of the state for which they apply to the recruitment. If selected before the appointment, their knowledge of the local language will be tested. If a candidate does not qualify in the language test, he/she will be disqualified from the recruitment. Candidates who produce 10/+2 mark sheet or any other eligible certificate that prove local language knowledge need not to attend local language as a subject in their local language knowledge test. Candidates planning to apply online for the SBI Clerk recruitment should remember that the application form will be accepted only via online mode from the official website of the State Bank of India. No other modes of applications will be accepted. SBI Clerk Application form 2019 can be submitted from 12.04.2019 to 03.05.2019. Candidates are also recommended to remember that they should submit the online application before the last date of registration by paying the required fee. Candidates will have to first register themselves at the website of SBI at bank.sbi/careers or www.sbi.co.in/careers for the recruitment of Junior Associates. Candidates are recommended to carefully fill up the details in the application form. If they are not able to fill up the data in a single go, they can save the data using the save option in the online application for SBI Clerk Recruitment. If they use the save option, a provisional registration number and password will be generated by the system and the same will be displayed on the screen. Candidates should note down the registration number and password and should use them as login credentials when they have to continue with the filling up the remaining part of the application form. Candidates are recommended to remember that they will get this facility only for three times. Once they completely fill up all the details, candidates should ensure the correctness of the entered data before they click on the “Submit” button. The reason is that they cannot make any changes thereafter. After they register by providing basic details about themselves, they will have to pay the required application fee through online mode by using either credit or debit card. In case, they face any issues in the application submission process, payment process, receipt of call letter, they can contact the help desk at 022-22820427 from 11 am to 6 pm on all working days. They can also lodge their queries at http://cgrs.ibps.in. If they send email through this website, candidates are recommended to remember that they should type the subject line as recruitment of junior associate – 2019. To apply, candidates should have a valid Email ID and mobile phone number. Candidates should remember that these communication channels should be kept active until the recruitment process is completely over. The reason is that SBI will send call letter advice only through email /SMS. Before they apply online, candidates are recommended to have the scanned copy of their photograph and signature in the system ready. The photograph should be in the size of 4.5 cm x 3.5 cm. The photo should be a recent passport size colour photograph. The dimension should be 200 x 230 pixels and the file size should be between 20 and 50KB. Candidates should make sure that the size of the scanned photograph should not be more than 50 KB. As far as the signature is concerned, candidates will have to sign in a white paper using a black ink pen. The dimension desired for the signature file is 140 x 60 pixels. The size of the file should be between 10 and 20 kb. Candidates should sign in running handwriting and not in capital letters. SBI Clerk 2019 : How To Apply Online? SBI Clerk/ Junior Associate application form step by step process is explained below. click on the link that says “Current Openings”. Thereafter, they should click on the SBI Clerk Recruitment 2019 to start filling up. Candidates will find two links to upload signature and photograph. They should click on the link that shows “upload photograph/signature”. Then, they will have to browse and select the location, where they have saved these files. Once, they reach the folder, they should click on the appropriate file and then click upload/open button. Application form without photo and signature will not be accepted by the SBI. Check the preview, click on Save and Next option to be redirected to the new window. Enter Graduation details such as subjects, year of passing, score etc. After they ensure the correctness of details in the online application, candidates will have to make the payment of the application fee through the payment gateway that they will find integrated into the online application. They will have to follow the onscreen instructions to pay the application fee. Take print out of the receipt of payment and application form for further reference. In the case of candidates from SC/ST/PWD and XS categories, they will have to pay Rs.175 only, which is the intimation charge. General and OBC Candidates will have to pay an application fee of Rs.750, which includes intimation charges as well. 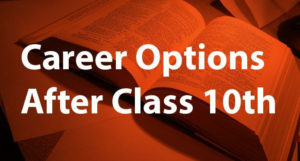 Candidates must submit the application by paying the required fee on or before the last date i.e., 5th May 2019 from 12th April 2019. Candidates should remember that once they pay the fee/intimation charges, it will not be refunded. Even, it will not be held in reserve by the SBI for future recruitment. Candidates will have to pay the fee using the payment gateway. Once they successfully complete the payment transaction, application form and e-receipt will be generated by the system. Candidates can print the same for record purpose and they need not have to send to the SBI. If the transaction is not completed, candidates are recommended to register again and make payment online. Even, candidates will have the option to reprint the e-receipt and online application on a later date. Before they start to apply for SBI Clerk Recruitment, candidates should have their photo and signature ready as per the specification. Further, they should have other documents pertaining to their educational qualification, age and community ready during the application process. They need not have to upload any documents pertaining to their education and age. But, they should produce the original documents if they are recommended to do so during the process of recruitment. SBI Clerk exam pattern consist of online objective test of the preliminary and main examination and opted specific local language test. SBI Clerk Preliminary exam will be held online, consist of objective questions for 100 marks. The test will be for a duration of 1 hour and consist of 3 sections. Each section has separate time. No minimum marks in the section or overall are prescribed. Questions will be in bilingual i.e., English and Hindi except for the section General English. SBI Clerk Main exam pattern consist of objective questions from 4 sections for 200 marks. Total time duration for the main exam will be 2 hr 40 minutes. There will be sectional timing for the main exam. 1/4th mark allotted will be deducted as penalty for wrong answer. Candidates has to score minimum qualifying marks in aggregate but there is no sectional cut off. There is a relaxation of 5% for reserved categories in minimum qualifying marks. Minimum qualifying marks in aggregate will be decided by bank. State wise and category wise merit list will be prepared. For detailed syllabus, candidates are recommended to visit the official notification page once it is released by the State Bank of India. SBI Clerk selection process will encompass online preliminary test followed by the main examination. Candidates will be shortlisted from the preliminary examination, where the adequate number of candidates under each category will be shortlisted as decided by the State Bank of India. Based on the availability, candidates about 10 times the number of vacancies for each category will be shortlisted to take up the main examination from the list of all candidates arranged in descending order of the aggregate marks scored. Only marks scored in the main exam will be considered for final merit. Prelim exam marks will not be considered for final merit. Provisional selection will be made based on the marks scored in the main examination. Candidates will be given appointment after document verification to check eligibility and testing their language proficiency based on the state they opt for. Preliminary Examination : Candidates will have to download the call letter for the preliminary examination and the “acquaint yourself booklet” by entering their registration number and password/date of birth from the website of the bank. SBI Clerk Prelim exam will be conducted in June 2019 and the admit card for prelim exam will be released in May/ June 2019. Main Examination : Candidates, who qualify for the main examination, will have to download the call letter from the official website of SBI about 15 days before the date of the main examination. SBI Clerk Main exam is scheduled to be held on 10th August 2019. Candidates are recommended to remember that they will not get the call letter to their homes by post. They will have to download it from the website of SBI only. Candidates must bring a valid photo ID in original and photocopy to the exam hall along with hall ticket. Valid Photo ID (In original and Photocopy) – PAN, Aadhaar, Driving License, Bank Passbook with attested photograph, Voter card/ ID issued by college/ University/ Gazetted officer in letter head. Candidates left thumb impression for biometric data will be captured and verified at various stages of examination. SBI Clerk results of candidates, who are provisionally selected, will be made available on the official website of the State Bank of India. Candidates can download their results from the official website of State Bank of India. They can check the website after taking up the written test both for the preliminary and the main examination for result and score card. How To Check Result and Score Card? The tables above indicate the cut-off for the general category. So, for the reserved category, the cut-off will be even lesser. The scale of pay for this recruitment for the year 2018 was as follows: 11765-655/3-13730-815/3-16175-980/4-20095-1145/7-28110-2120/1-30230-1310/1-31450. For 2019, candidates can get an idea from the official notification. The total starting salary of the clerical cadre employees in metro cities like Chennai will be around Rs.23600 per month inclusive of DA and other allowances. The emoluments might vary based on the place in which a selected candidate is posted. Candidates equal to a total of 50% vacancies will be maintained state and category wise and will be released quarterly wise against non-joining/ resignation from the posts of clerks from the current batch. Wait list is valid for a year from the date of declaration of result. Q. When Will SBI Clerk Notification 2019 Gets Released? 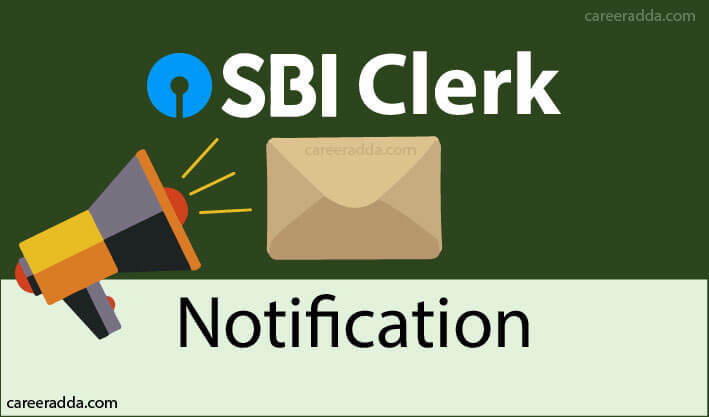 A. SBI Clerk Notification 2019 has been released on 11th April 2019. Q. What Is The Age Limit For SBI Clerk 2019? A. SBI Clerk age limit should be between 20 to 28 years for General category candidates. However relaxation in upper age limit for SC/ST category candidates is 5 years and OBC Non Creamy layer candidates is 3 years. Q. What Is Wait List In SBI Clerk Recruitment? A. SBI will release Clerk wail list of candidates that are equal to 50% of vacancies after releasing the final merit list. These are reserve list of candidates that are given posting in case the current batch merit candidates not join or resign from their post. Quarterly candidates are released from the wait list as per vacancy of the current batch postings. The validity of wait list is for 1 year. Q. I Am Pursuing Final Year Graduation. Am I Eligible To Apply For SBI Clerk? A. Yes, candidates pursuing final year of their Graduation are eligible to apply for the post of SBI Clerk/ Junior Associate. The final result should be declared on or before 01.01.2019. Q. When Will SBI Clerk Prelims/Mains Result Released? A. SBI will release clerk prelim result after 25-30 days of online examination. Main exam result will be declared after 45 days of examination. Q. How Many Attempts Are Allowed In SBI Clerk? A. There is no restriction in number of attempts for SBI Clerk exam. Q. How Many Vacancies Are There In SBI Clerk 2019? A. Approximately 8653 vacancies are released by SBI for the posts of Clerk/junior Associates. Q. What Is The Local Language Test In SBI Clerk? A. Candidates should have knowledge of local language of the state they are opting for. For candidates not having eligibility certificate or 10/+2 mark sheet that prove they have local language knowledge must attend local language knowledge test conducted before joining by SBI after Main examination. Q. How To Apply For SBI Clerk Exam? A.Visit careers section of SBI website and click on ‘Latest Announcements’ to check for SBI Junior Associates/clerk 2019. Click on Apply online to submit SBI Clerk online application form. Q. Is There Section Wise Minimum Qualifying Marks In Prelim/ Main Exam In SBI Clerk? A. There is no sectional cut off in prelim/ main exam in SBI Clerk 2019 exam. Q. How Many Candidates Applied For SBI Clerk 2018? A. SBI has received 16.6 lakh applications for Clerk vacancies of around 8300 in 2018. Almost there are 200 applicants competing for each post. Q. How To Reprint SBI Clerk Application Form? A. Candidates can visit SBI careers webpage and click on SBI Clerk Apply Online link and then on already registered option. Enter registration number, password and code as shown and print your SBI Clerk application form. Q. What Is The Salary Of SBI Clerk? A. The scale of pay for SBI Clerk is 11765-655/3-13730-815/3-16175-980/4-20095-1145/7-28110-2120/1-30230-1310/1-31450. The total starting salary of the clerical cadre employees in metro cities like Chennai will be around Rs.23600 per month inclusive of DA and other allowances. Q. Will There Be Interview For SBI Clerk? A. No, there is no interview for SBI Clerk posts.